Tonight, Fox will air a “lost” interview with O.J. Simpson from 2006 in which he discusses how he hypothetically would have killed Nicole Brown Simpson and Ron Goldman if he had done it. The interview was originally filmed to promote his book If I Did It, but an understandable outcry from the Brown and Goldman families convinced Fox to pull it. 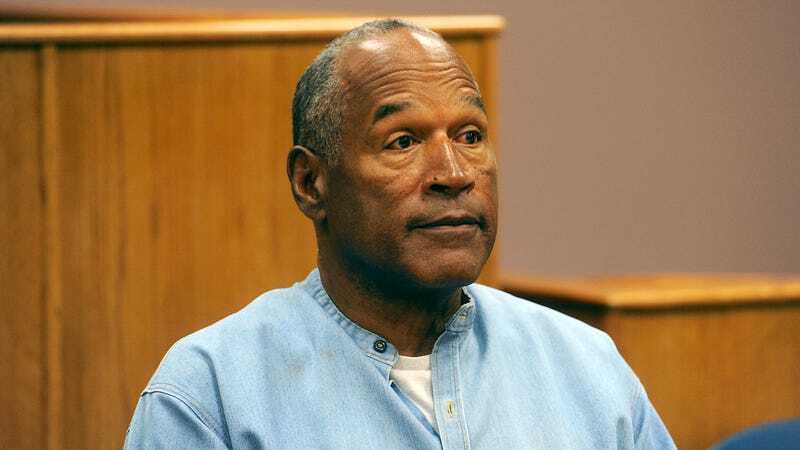 To mark this weird occasion, The Simpsons showrunner Al Jean has revealed that O.J. Simpson was actually supposed to appear in an episode of the show that originally aired exactly 25 years ago today. That episode is “Last Exit To Springfield,” the one with the power plant strike and the “Lisa needs braces!” scene, and Jean says that Simpson—“(pre-murders)”—was given an offer to make a cameo appearance. “Fortunately he passed,” Jean explains, “and we got Dr. Joyce [Brothers].” Her cameo in the final product is very brief, with Brothers giving one goofy line on a news show before immediately being dismissed by host Kent Brockman, so Simpson’s cameo probably would’ve been similarly light. Still, as Jean implies, replacing Simpson with Brothers was probably for the best, not only because of what ended up happening with Simpson but because Brothers’ one-line (“I brought my own mic!”) is pretty good. So long, recommended stories! Lisa needs braces! recommended stories!